We’ll all soon be sitting around the Thanksgiving table talking about the upcoming holiday season. Grandma wants a new phone and mom said she wants some sort of tablet for reading and maybe playing games. You’re the expert and all eyes are on you. What should grandma buy? What should Uncle Joe get Aunt Mary Anne? 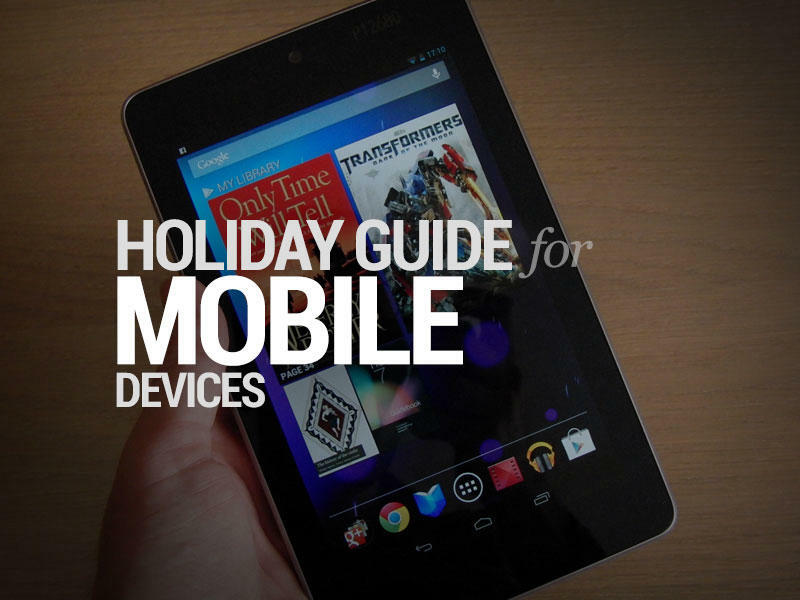 Here, we’ll give you a few hints with our Holiday Guide to Mobile Devices. 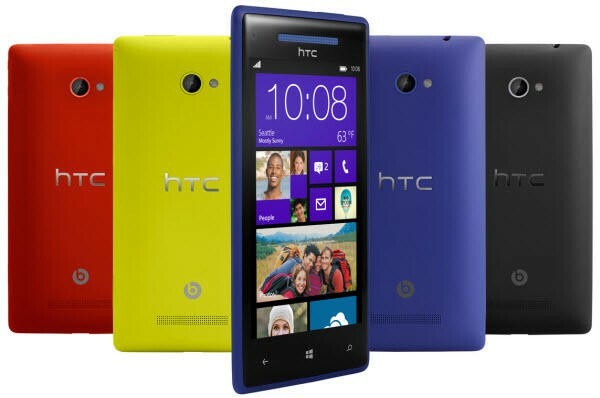 We’ve been drooling over HTC’s Windows Phone 8X device ever since it was announced earlier this fall. It runs the latest version of Windows Phone, which is dead easy to use, and will come in a variety of stunning colors across multiple carriers. Better yet, early pricing leaks suggest it won’t burn a hole in your pocket. You’ll get Beats Audio, a sharp display, an 8-megapixel camera, NFC and much more. Nokia stunned us with the Lumia 900 and it’s about to do it again with the all new Lumia 920. The device packs Nokia’s PureView image technology for amazing photos, wireless charging, NFC, Windows Phone 8, and an incredible industrial design that’s sure to wow anyone who holds it. Windows Phone 8 will be a great option for anyone new to smartphones, as well as those of us who have been carrying them for years. 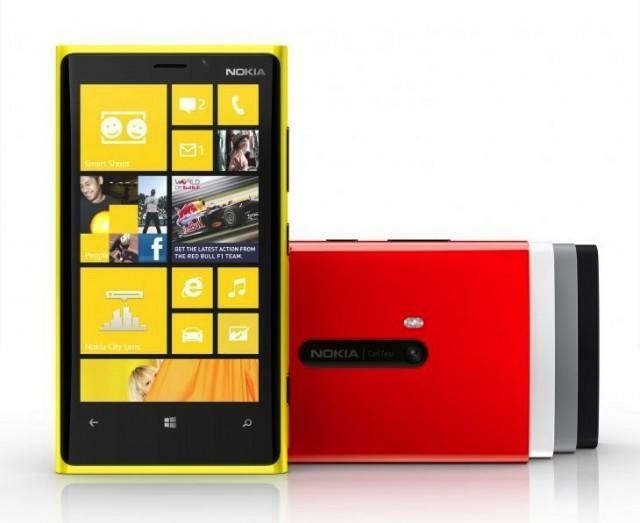 The Lumia 920 should be among your top picks this holiday season. This one is a no brainer, not because I think it’s a fantastic smartphone (despite my initial hold back), but because Apple’s ecosystem is the most robust. If your friend has an application that you really like, chances are it launched on iOS first and is available for the iPhone. You can book dinner using Siri, snap panorama photos of your holiday setup and surf on 4G LTE networks. It’s the best iPhone yet, and one of my favorite smartphone picks right now. Plus, it’s available from Sprint, Verizon and AT&T. That means you have a lot of choice. I can’t stop loving this phone. I still carry it with my primary phone number and I love it’s amazing HD Super AMOLED screen, the top notch 8-megapixel camera with rapid fire, the ability to share photos and videos quickly with NFC and more. It doesn’t run the latest version of Android yet (Jelly Bean) but Samsung has promised it’s coming in the next few months. 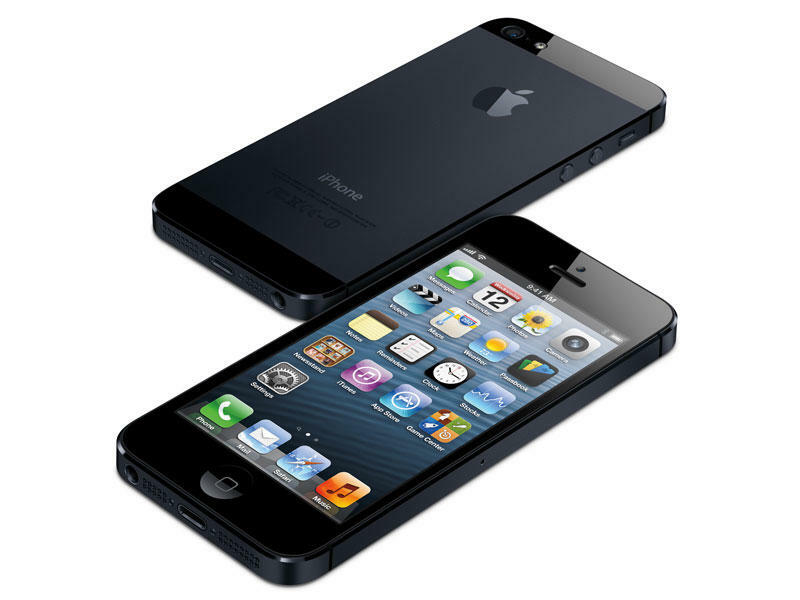 That will make the phone feel even faster than before and adds new features that give Siri a run for its money. If you want a larger screen, check out the Galaxy Note II also. 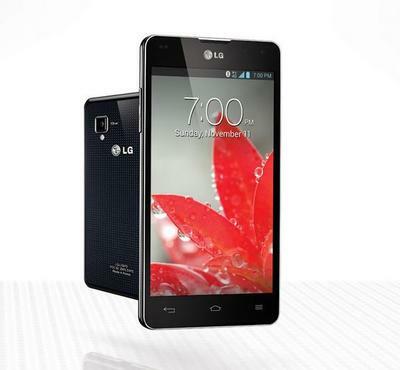 The LG Optimus G was a surprise. Usually LG’s flagship phones don’t hit U.S. shores until their nearly outdated, but that wasn’t the case this time around. The Optimus G offers a beautiful glass body, one of the best displays we’ve ever seen on a smartphone, 4G LTE support, 32GB (or 16GB, expandable on AT&T) of storage, and a super useful QuickMemo option for taking notes on any screen at any time. Sprint’s model kept the original 13-megapixel camera but you’ll still find an adequate 8-megapixel shooter on AT&T’s option, too. Oh, and did we mention it packs a beastly and super fast Snapdragon S4 Pro quad-core processor? The Nexus 7 continues to be my tablet of choice, especially since the latest Android update that added landscape mode support for the home screen. It offers a solid 7-inch display, NFC, Android 4.1 Jelly Bean with the latest Google Search, Google Now, a front-facing camera and 8GB of storage (on the low end). It’s available for only $199 right now but rumor has it that Google is going to drop it down to just $99. If it does, the Nexus 7 is a no brainer. 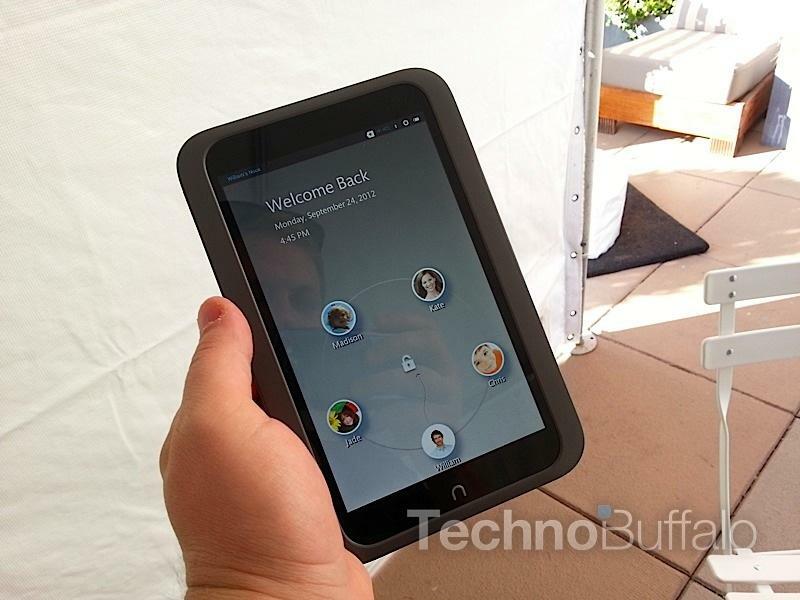 Amazon, in many respects, kicked off the $200 tablet war. Its Kindle Fire HD is the latest device to continue the company’s fight into the market. The 7-inch screen offers a sharp 1280 x 800-pixel resolution and the device offers 11 hours of battery life, 16GB of storage, a front-facing camera for video chat and quick-access to all of Amazon’s content. It’s one of our top picks for anyone who loves books, music and gaming. And who doesn’t? I had a chance to play with the Barnes & Noble Nook HD early and, while it won’t launch until Nov. 2, this is a tablet you’ll want to keep your eye on. The company’s “Paper” UI is fresh, allows multiple user accounts, and provides quick-access to all of your content. Plus, it has expandable storage and a sub-$200 price point. You won’t get a camera, but you will get one of the nicest displays currently available on a tablet. The Galaxy Note 10.1 is my favorite 10.1-inch tablet on the market, largely due to its S Pen and amazing Wacom display. You can take notes easily, sketch out a business plan, hang out in the back yard and draw a picture or simply use it as a media consumption device. It’s powered by a quad-core processor, which makes multitasking a breeze, and runs Android 4.0 Ice Cream Sandwich with Samsung’s custom TouchWiz user interface. The microSD card slot, free Photoshop Touch application and camera are just icing on the cake. It’s an oldie but goody. I couldn’t really create a holiday buyer’s guide without one of the most popular tablets on the market. The new iPad may soon get a refresh, so be sure to keep your eye out, but it offers 16GB, 32GB or 64GB of storage, a 9.7-inch display with a super sharp 2048 x 1536-pixel resolution, Wi-Fi and 4G LTE options, a dual-core Apple A5X processor, a 5-megapixel camera, a front-facing FaceTime camera for video chat and, of course, access to Apple’s sweet ecosystem. We’ll know soon enough (within the next week) but Apple’s expected to announce the iPad mini in a few days and Google likely has a 10.1-inch version of its Nexus 7 tablet in the works, in addition to the LG Nexus. All three could turn out to be incredible devices, so you’ll want to keep your eyes peeled. But since they’re not official at the time of publication, we’re keeping them as a wild card option.